The holiday season is underway, which means the North Pole's most famous resident will soon make a series of appearances. 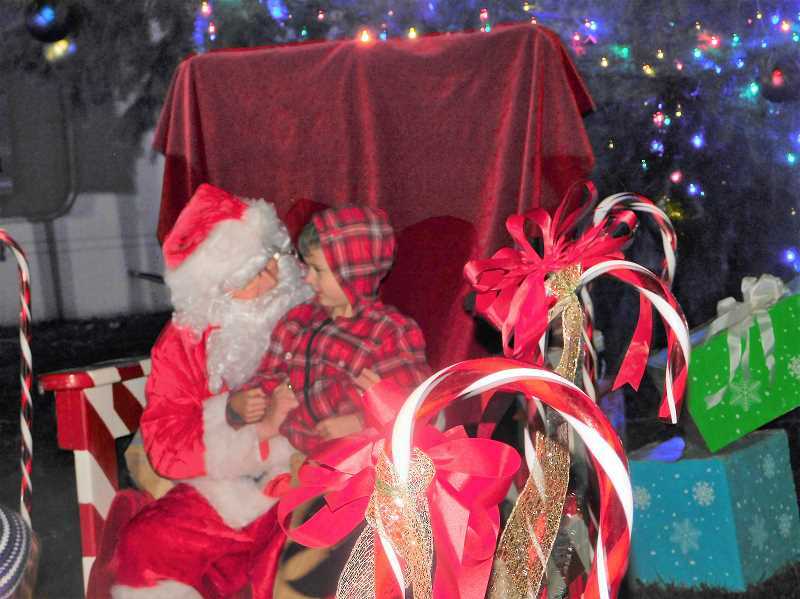 Santa's made a list and checked it twice, and Estacada must have been nice, because he's making many stops in the area to spend time with community members and pose for photos. Christmas Tree Lighting: 5-7 p.m. Friday, Nov. 30, outside of City Hall, 475 S.E. Main St. Santa will join in the festivities at the city's annual Christmas Tree Lighting, which will also feature free hot chocolate, horse-drawn wagon rides and live music. The tree will be lit at 6 p.m.
Wade Creek House Antiques: 10 a.m. to 2 p.m. Saturday, Dec. 1, 664 N.W. Wade St. Father Christmas will be available for photos at Wade Creek House Antiques. A fundraiser for River Mill and Clackamas River elementary schools, pictures are $5 each. Apple cider and cookies will be available. Philip Foster Farm: 11 a.m. to 4 p.m. Saturday, Dec. 1, 22725 S.E. Eagle Creek Road. At this gathering at the National Historic Site in Eagle Creek, attendees can meet Jolly Old Saint Nicholas, experience pioneer hospitality and purchase a Christmas tree. The event is free. Hi-School Pharmacy: 4-7 p.m. Thursday, Dec. 6, 207 S. Broadway St. Kris Kringle will stop by the store to take free photos with children, who can also drop off a wish list with him. Homemade for the Holidays Bazaar: 10 a.m. to 3 p.m. Saturday, Dec. 8, 355 N.E. Sixth Ave. Santa will join vendors at this bazaar at Estacada High School. Estacada Fire Station: 5-7 p.m. Saturday, Dec. 15, 445 S.E. Currin Street. The North Pole's most famous resident will be available for photos in front of a fire engine, and hot chocolate will be served. Barton Christmas Corner: 5-8 p.m. Saturday, Dec. 15. Several locations in Barton will participate in holiday festivities. Santa and Christmas trees will be at Barton Store, 24802 S.E. Bakers Ferry Road; there will be music and a live nativity scene at Barton Church, 25400 S.E. Highway 224; and gifts will be available for purchase at Barton Antique Mall, 25618 S.E. Highway 224.